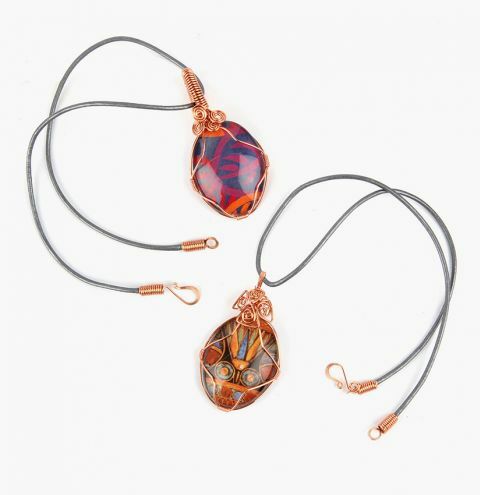 Create shining wire wrapped cabochon pendants using your own images or fabrics. These necklaces are the perfect way to add a splash of colour and shine to your look! This Take a Make Break video tutorial will be available at 8am 24/07/2016.